Hong Kong Waterfront, originally uploaded by VinkoT. 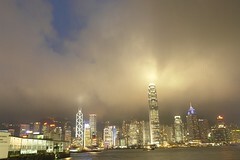 Here is another example why Hong Kong's waterfront is second to none. I can spend hours admiring the waterfront from the Tsim Sha Tsui broadwalk.